Our store was located in the Apollo Plaza, Monticello, Sullivan County’s only indoor Mall. 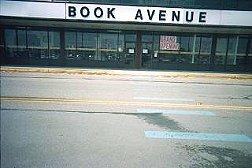 It had Sears, Bass Outlet, Fieldcrest-Cannon, Dress Barn, and a number of nationally known stores when we moved in, but was nearly half-empty. We got a great deal with the promise that they would be renovating and gathering new nationally known tenants within a short time. We took a 6000 sq ft space right next to the Bass Outlet. A very busy place. They pulled out the day we opened!!!! After 2 years of horrible mismanagement, transfers or non-transfer’s of ownership we were store 8 left in the Mall. With Sears still there, we were still getting customers. Then the Mall was thrown into litigation for non-payment of a 3.6 million dollar mortgage. So we decided to leave, it was getting crazy, and the maintenance suffered even more than when we opened. We found a store in Middletown, in a secondary Mall, but still a much nicer place, and in an area with 110,000 folks within 10 miles, instead of 70,000 folks in 1000 sq miles. It’s 14,000 sq ft on two levels with a downstairs entrance and a mall entrance on the second level, and a big passenger and freight elevator. Even though we had signed a lease for the new space in December we didn’t have the key, awaiting the signing of the lease by the Mall owners. So we were still open in the Apollo. We kept the store open, all of the store owners knowing the Mall was going to be closed but expecting a 15 day advance notice so we could all run a closing down sale. Not to be. On Jan 13th the Village code enforcement officer (poor fellow died of a heart attack a month later; he was too young, tough job, but he was nice), came into the Mall and told us all that the Mall was being closed to the public at 1 pm on Jan 15th. Not even 2 days notice. While we contemplated going to court over it, we had the key to the new location by then, and decided to just close down on the morning of the 15th and start moving. We did do that, and ordered a couple thousand boxes to be delivered. Our supplier could only deliver 1000, so we had to bring stored boxes of books to the new store, then unload the boxes, and go back with the empties. Had I to do it over again, I might have driven to the Bronx for some boxes from another supplier. Trying to save some bucks, and it worked because the amount of money we paid out for taking the books out of boxes, and breaking them down, was less than buying new boxes would have been. Still I should have paid extra……. What the code enforcement fellow didn’t tell us was all utilities, the water, sewer connection, remaining heat, and everything else was going to be turned off, removed, or stopped on the 15th. So from the 15th on we didn’t have electric, bathrooms, etc. 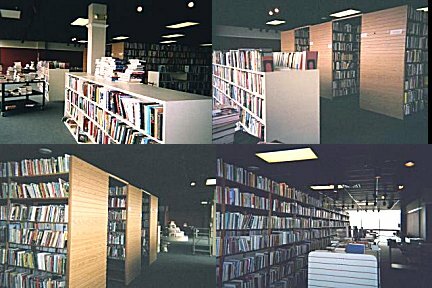 8 stores were still fully stocked, being dismantled, and since we were open for customers just 2 days earlier, we hadn’t progressed all that much with boxing our 60,000 books. We had another 50,000 or so boxes in the back storage room in boxes. It also opened new opportunities for us, as all the shops were rushing to leave, and so we were known as folks who bought fixtures from closing shops, we were inundated with offers. One was a beautiful set of shelves from a shoe store (10,000 sq ft store lots of shelving), who will go nameless, because of something strange that happened later on that I will get to. So we purchased, and we figured out how many trucks it would take to move 6000 boxes 40 miles to our new location. So first thing we hired the fired Mall maintainance man and his son to dismantle the shelving from the store and reassemble the shelving with new shelving at the new store. We also hired 4 day-laborers to start boxing up the books, with 2 workers from our warehouse. Now the temperature was running between 5 degrees and 25 degrees during these days. All of the mall doors were open to accommodate the use of the generators to provide some sort of lighting and to run the screw guns etc. Ice formed on the inside of the glass, in the store. While Helen and I are a bit older than our workers, we got into it, and while I was making boxes Helen was filling boxes and generally maintaining a highly efficient pace. I was the first one to crack, and I went to the van, ran the engine and put on the heat, and hid out until Helen noticed I was gone. I admit to the fact I cannot work in 5-15 degree temp for any length of time, no matter what I’m wearing or how bundled up I am. Now comes the fun part. There was no light, no sewer, no water, no working bathrooms. So we were off to the Burger King at regular intervals for bathroom breaks. Some others, working for other stores, sought refuge in empty stores or empty parts of the hall. Which could lead to interesting and not at all pleasant encounters. The amount of work needed to empty shelves in a heated store, with lights, is not as much work as trying to do it with minimal lights and well below freezing. Since it was so cold, the water had been shut off, but whoever did it forgot that they had a whole lot of pipes in the Mall, and they failed to look at the plans for a 12-inch water main that was clear down at the other end of the Mall. It burst sending a whole lot of water through 6 stores, destroying the complete contents of the Hallmark store, and a couple of closed stores, and the shoes which were ready to be taken into trucks from the shoe store. It did not affect the shelving, as the shoes worked as a dam to the water and the store was several away from the main break. Since they didn’t drain the sprinkler system many sprinkler heads burst sending ugly dirty water down on everything. We lost lots of books to black water. While some stores were out quickly it wasn’t so easy for our store. Even so we were the 4th store to leave completely, out of the original 8. To do this–we had 6000+ boxes and tons of shelving–we needed trucks. We started by renting a 24 ft Ryder truck. Helen drives them and has been doing so for years. So we rented one and we had our day laborers fill the first one up, and they didn’t entirely follow directions, so they filled it from front to back from top to bottom. WAY over the weight limit. Also, way too much for the nearly flattened tires. So when I noticed the problem, Helen went out in search of another rental truck and rented a 15- footer, which was the only vehicle available in the county. We backed to backed it, and unloaded as much as we could to try to get the tires on both trucks somewhat even. One of the carpenters drove that one, and when we all landed at the new store, he had stories about the wobbling of the truck, and the inability to fully control the vehicle. After a few more trips, we decided that it would take ages to do it that way, and so rented a 48 ft trailer and agreed to pay for each trip. So the cost was $35 per day rental for the trailer, $250 to drive the fully loaded trailer to the new store, $50 to bring it back empty. We agreed to limit the weight to about 40,000 lbs, which we questimated to be 2000 boxes. It took 4 day-laborers 6 hours to load 2000 boxes, but we had a 40 ft roller conveyer thing as you might see at a supermarket, that we had purchased for $25 from one of the shops that closed the year before, and we have big dollies, and push carts to help us move large quantities of books around, as we normally do when we buy large quantities of books. It took the same guys 7 hours to empty as we were sending up boxes in the elevator to the second floor. Our new store was a furniture store, so it has the largest elevator in the mall rated at 5000 lbs. So, we’d have the empty trailer at the Apollo when we got there at 9 am, and the workers would load up, and then the trucker would pick it up at night and drive and deliver the loaded trailer to the new store so we could empty it the next day. We did this 5 times. While all of this was going on, there was not an owner of the mall. It was said to be owned by the Ukechaug Indian Nation, who said they never owned it, and the mortgage was owned by a realty company who said they didn’t own it, and a management company who claimed the Indian Nation owned it, said they didn’t own it. So it was anarchy in the pure sense. There was a fellow who claimed he worked for one of the groups, mooching around making money by charging the stores to plow to the various entrances to the mall, but not officially hired by anyone at the mall. She on the other hand happened to have the phone number of the district manager of the shoe company and she told this nasty fellow to call this guy. He comes back an hour later and says, “I talked with the President of the shoe company, and he said this fellow didn’t have the authority to sell it and it’s mine, so you either pay for it, or take it off the truck.” So I start yelling “Did you ever hear of extortion. It’s a couple years in prison, and if you start threatening it’s 10 years. Helen call the cops, this fellow is going to jail.” So he takes off, never to be heard from again. Our check was cashed by the shoe company, and the bill of sale is in our records. Now I’m far from being a lawyer and I might just have been wrong about the legal stuff, but it got rid of him. The new store is in a secondary mall, which means there are two others that have been built and the big stores are not around here. It’s kind of a strip mall, except in our building we have three floors, and we have stores on the second level and an entrance from the enclosed hallway. One part looks like a mall, the other looks like a strip mall. It’s about 15 years old. It’s anchored by a Warehouse Food Store, and contains the following: Blockbuster, Family Dollar, Ground Round, Carvel, Dunkin Donuts, a Discount Movie Theatre (don’t know how many screens), Curves, Italian deli, Indian food place, Pizza parlor, Chinese food, 2 banks, gym, insurance, rent a center, hair salon, Department of Motor Vehicles, Indoor Golf place (9000 sq ft– it’s huge), billiard parlor, stamp and coin shop, health food store, discount clothing place, liquor store, and we have the 2nd largest store there at 14,000 sq ft on 2 levels. The third level is mainly offices, such as the Federal Parole Office and other government offices. Our plan was to demolish the downstairs and make it one level. Because it was a furniture store the downstairs was split into rooms–well 3/4 rooms or 1/2 rooms, on various levels. We were also told by management that we didn’t need a c/o for the store which sounded suspicious to us, because whenever you change usage in NY you need a new c/o, except maybe in the City of New York where I think they don’t have enough inspectors to go around. So we called the town, and this is again strange, we’re located in the Town of Wallkill, but our mailboxes are in Middletown. The line goes down the parking lot in a meandering fashion. It’s a real green line, because the local fire departments and police would argue on who had jurisdiction so they painted a line. Well we called the Town and they said we’d need an inspection to list all of the changes we had to make. That took a week, which halted almost everything, and the carpenters started new jobs, so we had the shelving in stacks everywhere. Finally the inspector comes and says that we’ll have to build handicapped access ramps to cover every step in the place, or at least so that every level is accessible. It must be this pitch, this width, this length, etc, etc. We found we had to build 9 ramps. We had no problem with that, but our carpenters were only able to work 3 days a week, because they had taken on other jobs. Since the son had experience building the ramps for a new building for his church, we stayed with them, and they did a great job. Day before yesterday a wheelchair-bound author came to look at the store, went up and down all the ramps, and approved of them greatly, so we are happy on many levels. He says he has trouble with all of the Mall bookstores, running into sale bins, etc. 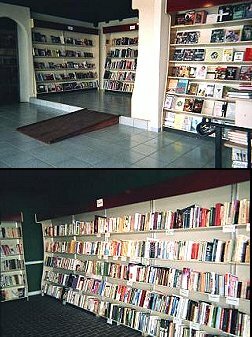 Our store is fully accessible to those who are physically challenged. Oh! We decided that breaking down the rooms on the bottom floor and making it one level, would run us about $50,000 and we thought that’s a whole hunk of change, so we’ll leave the rooms, and not worry about theft. Normally in a Mall when a store leaves they remove the store sign. Not this place. So we had a furniture store sign on two levels, 78 ft across on two levels, and all black vinyl. The owners of this Mall own 41 other Malls from MA to FL to MO and a number of other states. So they’re not some fly-by-night. We have in the lease that we need to get the approval of the Mall owners about the signage. So the Manager doesn’t tell us that it has to be a special type of sign, so we planned on using the vinyl across the 78 ft on 2 levels, because it’s dramatic. We really try to pay as little as possible for signs and stuff, so we made many sign companies angry with us in negotiations. Well, we submit the sign, and it’s not approved. We’re told the Mall owners want only raised lettering. I point out that every other store has every sort of sign, and he says that he wants this sort of sign, and while he can’t do anything about the others, he can about ours. I read the lease, and while it said we had to submit a design, and we had to get approval, it didn’t say we had to have a sign. So I point out that we don’t need to change the sign, we’ll just tell folks it’s behind the furniture sign. The mall made an agreement with us to cover 1/2 the cost of the sign. We’ve been open a month behind the furniture sign, but our new sign went up yesterday. Estimates on the sign came in from $1400-$5400 from companies in this county. We called another sign company 100 miles away and got the same sign for $700 installed. We’ve been a-z’ing for the last month, breaking into subjects, etc. At the end, when we were closing the Apollo store, we were completely in the dark, and it wasn’t until we moved everything to the new store that we noticed that some folks didn’t mark the box by subject and alphabet. So it’s been interesting. Helen and I never want to move again. If we ever need to move, we’ll leave the books. I’d seriously consider retiring. This move was life threatening. I’ve just gotten warm over the last month in our new store. I point out to customers that we have heat and three bathrooms, and if they seem to wonder why I’ve mentioned the number of bathrooms, I really have to explain the Apollo to them and the last days. While Helen has fond memories of the Apollo, I have nothing but nightmares from the end days.